（Clearwisdom.net）On March 25, 2010, Falun Gong practitioners in Los Angeles held a rally in front of the Chinese Consulate to protest the Chinese Communist Party (CCP)''s persecution of Falun Gong. 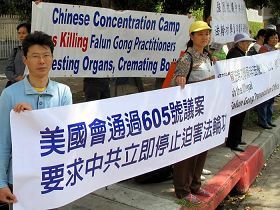 They called on the international community to help rescue their family members who are imprisoned in China for practicing Falun Gong. 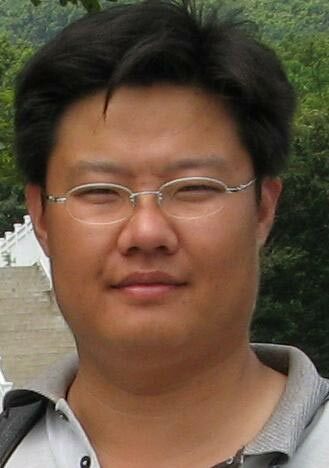 Mr. Tieyuan Zhang from the University of California, Los Angeles said, "My mother Li Yaohua and sister Zhang Yibo were unlawfully arrested in June last year in Shanghai. They are still imprisoned there." 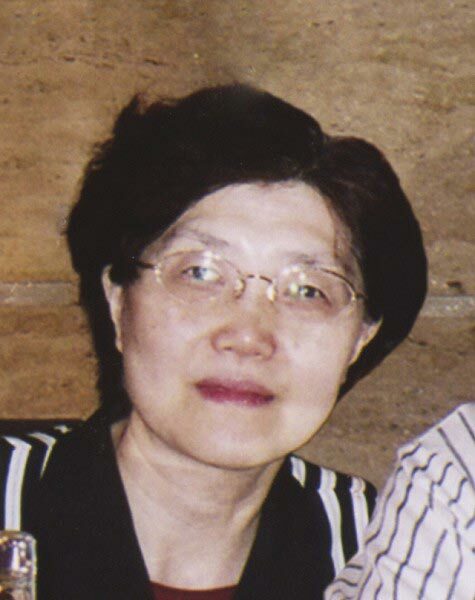 Ms. Li Yaohua is a 63-year-old Falun Gong practitioner and a resident of Hong Kong. She was weak and had multiple illnesses when she was young. Her spine was S-shaped and frequently painful, causing temporary paralysis when severe. In 1996, she started to practice Falun Gong and all her illnesses went away. She continued to practice Falun Gong since then. 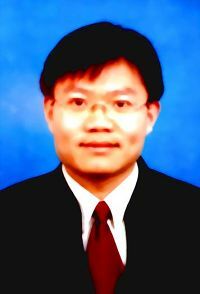 Mr. Zhang''s sister, Zhang Tiebo, is a 29-year-old college graduate. 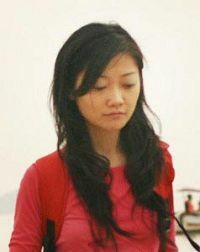 She started to practice Falun Gong after seeing the miraculous change in her mother''s health after practicing Falun Gong. She and her mother were followed in Shanghai when they distributed information materials that exposed the persecution of Falun Gong. 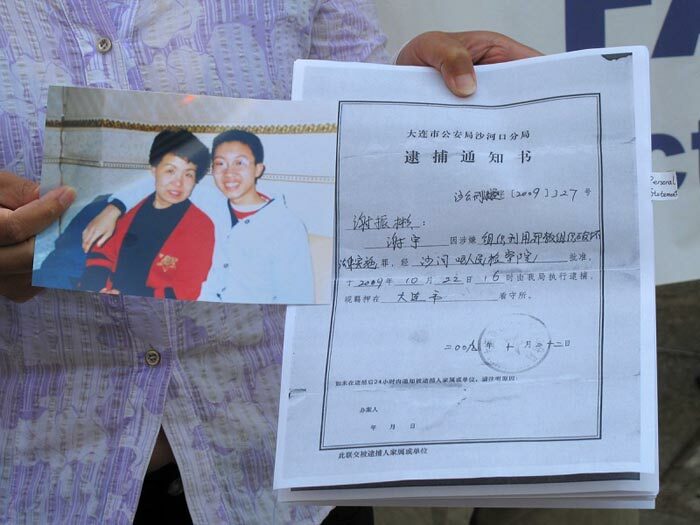 On the evening of June 4, 2009, police from Tianlin Police Substation forcefully entered their home and took them away. 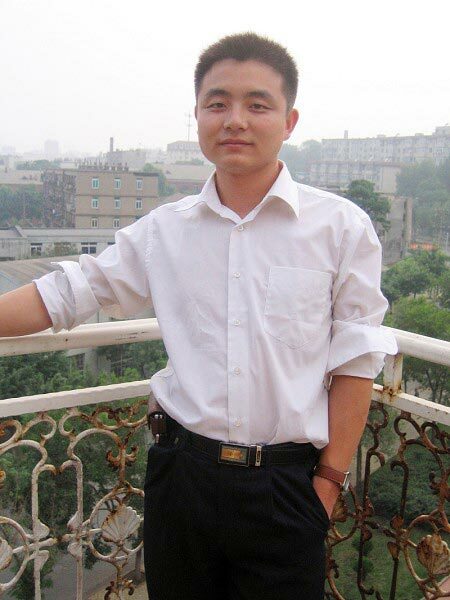 Mr. Zhang said, "Due to police''s torture, my mother is very weak. She cannot stand for a few minutes. Her lawyer asked for medical parole many times, but was refused." Ms. Lu Tian is from Dianlian, Liaoning Province. 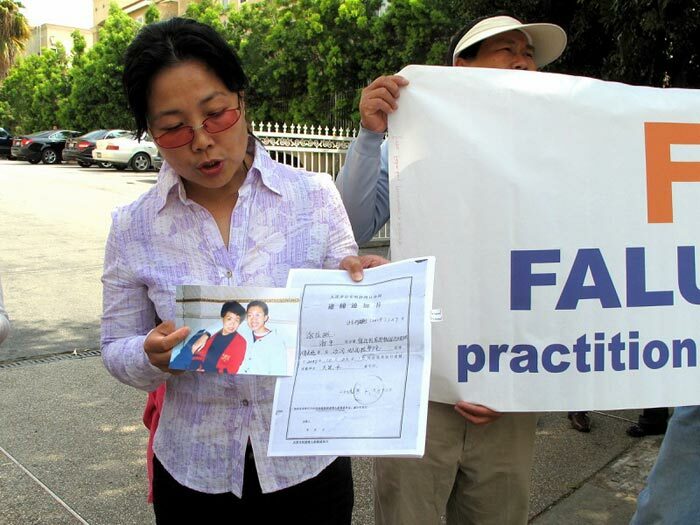 She said, "On January 13, 2009, my husband Cong Rixu and I posted banners with words ''Falun Dafa is good'' in Dalian. Someone reported us to police. Three plainclothes police took us to Ganjingzi Police Station. I was detained in Dalian Detention Center that night. After a 31-day detention, I was released without charge. My husband was unlawfully sentenced to 3-year prison term by Ganjinzi Court. Even worse, my husband''s lawyer Wang Yonghang, who defended him as innocent in the trial, was later sentenced to a 7-year prison term." 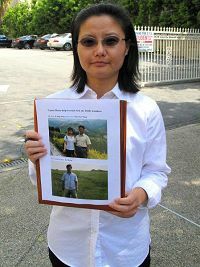 Ms. Xiao Wang, an engineer in southern California, called for help to rescue his father Wang Zhanshuo and brother Wang Xia. At night on March 4, 2010, officials of Qingdao 610 Office and police of Huangdao Police Station, Qingdao, Shandong Province unlawfully arrested Ms. Wang''s father Wang Zhanshuo, mother Song Jiling and brother Wang Xia and took away their computers and printers. A few days later, Huangdao Police Station sent a notice of detention and transferred them to Huangdao detention center. Her mother was sent to a hospital due to her high blood pressure, and released ten days later. Her father and brother have been detained in Huangdao Detention Center since then. Ms. Jie Meng from Dalian, Liaoning Province said, "During last ten years, I was unlawfully detained twice and imprisoned in a labor camp for one year. To avoid local police harassment, I had to flee and live away from home. My father and mother were also detained. "Today, as I stand here in a free country, I feel relaxed. 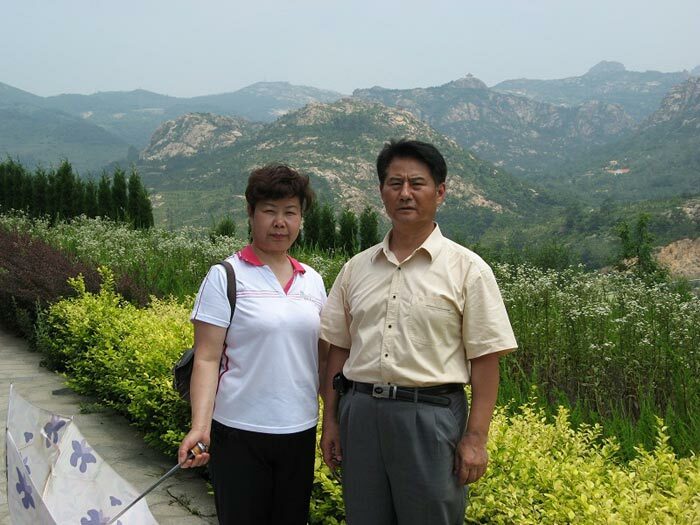 At the same time, my mood is heavy because my aunt Shang Xiaoli and cousin Xie Yu have been imprisoned in Dalian Detention Center for more than six months." Ms. Xie said her cousin is 28 years old. Police took him away from his workplace chatting online with classmates about the persecution of Falun Gong. Police also took his mother when raiding his home. On January 18, 2010, they stood for trial in court. Their lawyer defended them as innocent and requested their release. The judge of the court could not offer a response, but ended the trial in a hurry. Although the court has not issued any notice, they are still detained. Another Los Angeles resident Ms. Xinhua Dong had a friend read out her statement about the suffering of her family in the persecution. Ms. Dong''s younger brother Dong Yiran was an engineer in Shenyang Police Station. 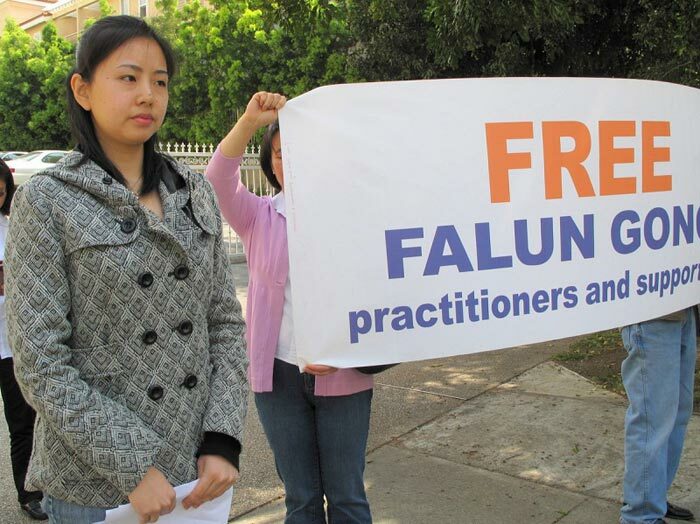 His workplace ordered him to give up Falun Gong in April 1999 and fired him in July 1999. 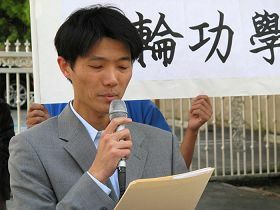 From 2001 to 2005, Mr. Dong Yiran was unlawfully imprisoned twice for two years and two and a half years, respectively. He was deprived of sleep for 24 days and suffered other tortures. On February 27, 2010, police took him away and detained since then. Ms. Dong''s elder brother Dong Xinran was fired from Shenyang Locomotive Plant for practicing Falun Gong. He was imprisoned in brainwashing centers, mental hospitals, labor camps and prisons many times. Because of torture, he cannot walk now and cannot take care of himself. Ms. Dong''s mother was taken to brainwashing sessions many times. Her workplace, local government and police station monitored her frequently, especially during holidays. Her local government sent two people to harass her every day. In 2007, her house was brutally torn down. In 2008, she passed away after a year of constant pressure from the police. 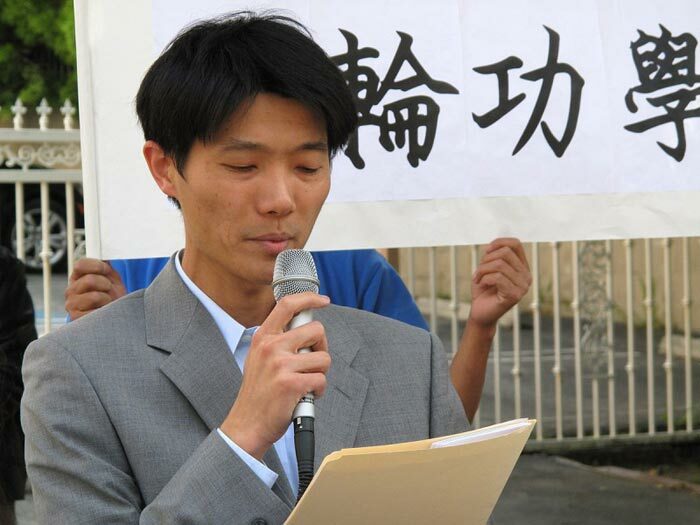 Mr. Youfu Li, the organizer of the rally and person-in-charge of Los Angeles Falun Dafa Association, said, "Currently, the whole world is paying attention to China''s human rights and freedom of speech because of a few major events. For example, the US House of Representatives passed Resolution 605 condemning the CCP''s persecution of Falun Gong and meanwhile Google pulls out of the China market to end censorship."